Michael works on problems related to the use of advanced fibre-reinforced composite materials, in structural applications. Because of their high stiffness and strength to weight ratios, composites have been gradually replacing metals in weight-sensitive products since their initial development in the 1960s. Present-day applications range from sports equipment to commercial aircraft; indeed, the structure of the latest aircraft has more than 50% composites by weight. However, mechanisms of damage and failure are more complex to analyse in composites than in metals, which has slowed their application and/or led to overly-conservative designs. One aspect of Michael’s work is the development of methods to predict damage and failure in structures made from composites, and the implementation of those methods into computational methodologies such as finite element analysis. Methods developed by Michael and co-workers have helped to reduce uncertainty surrounding composite structural design, leading to lighter, more efficient structures. Another area where modelling can help is manufacturing. Manufacturing composites more quickly and cheaply remains one of the biggest challenges to their further development. The changes that composite materials go through during processing and shaping are hugely complex, and dependent on a vast array of process variables. Models can help predict these changes, cutting down on the number of experiments needed to develop new processes. Michael’s team have been involved in the development of models for promising new processes such as Automated Tape Placement, which can potentially replace expensive and time-consuming autoclave manufacturing. Michael has also been involved in next-generation composites, specifically the development of fibres made up of carbon nanotubes (CNTs). CNTs are among the strongest known materials, but they are very small in size. Consequently, to make a fibre for practical use in composites, millions of CNTs are required, which need to work together to share the load. Michael and his team have used Molecular Dynamics simulations to predict how multiple CNTs interact and transfer forces between them. They also have proposed new ways to modify the chemical bonding between CNTs to dramatically improve their load-carrying abilities. Underpinning the above numerical work, has been extensive validation via experimental testing. The combination of computational and experimental approaches has enabled the team to solve a range of practical problems in composite structures, including the design of more energy-absorbing structures for crash-protection, better leading-edge aircraft structures for resisting bird strikes, and more efficient methods for joining composite structures together. 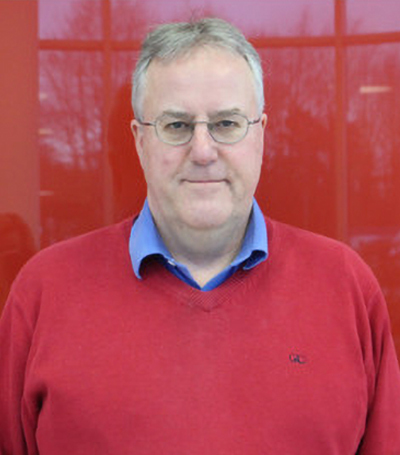 Michael holds the Chair of Aeronautical Engineering and was co-founder of the composites centre at the University of Limerick (UL). He has won best paper awards in the journal Composite Structures and several conferences, and been awarded the Special Achievement in Research award at UL. He has worked with most of the leading players in the aircraft industry on EU-funded projects, and has also been funded by all the major Irish funding agencies. Current projects include an EU-funded project on composite vehicle crashworthiness and an Irish Research Council project on modelling of composites processing.